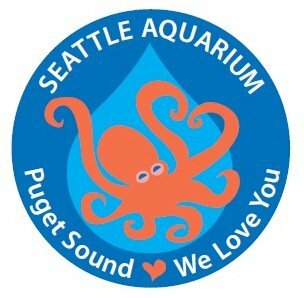 Puget Sound We Love You is a blog created and updated regularly by the Puget Sound We Love You editorial board group, a part of the Youth Ocean Advocate volunteers at the Seattle Aquarium. Our goal is to raise environmental awareness through sharing stories about marine conservation and the Puget Sound. Our blog posts center around conservation of marine wildlife here in our area, as well as in the global community. Puget Sound is at risk from pollution and climate change, which has a grave impact on the animals that depend on this marine environment. As the next generation of leaders, we have the power and responsibility to preserve this beautiful and unique ecosystem. Starting with teenagers like us, and spreading out from there, we seek to inspire and improve the way we all treat both the Puget Sound and our world’s ocean. Puget Sound: We Love You and the Youth Ocean Advocates program at the Seattle Aquarium is made possible by the generous support of individual donors and foundations, including the Muckleshoot Charity Fund. We thank you for your support!